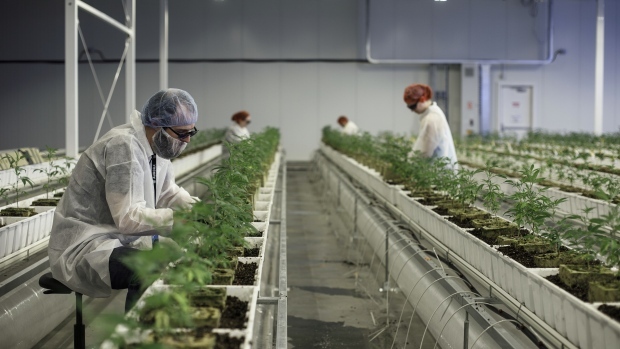 Shareholders of MedReleaf (LEAF.TO) have overwhelmingly approved the $3.2 billion takeover from Aurora Cannabis Inc. (ACB.TO) in the biggest deal yet struck in Canada’s burgeoning marijuana sector. The transaction was approved by more than 96 per cent of the votes cast in a special shareholder meeting held on Wednesday, MedReLeaf said in a release. "Today's vote demonstrates the strong shareholder support for the arrangement with Aurora, as the strengths of our organizations should accelerate our efforts to set the standard for the cannabis industry on an international scale,” said Neil Closner, CEO of MedReleaf, in the release. Aurora and MedReleaf together expect to produce over 570,000 kilograms per year of cannabis through nine facilities in Canada and two in Denmark.